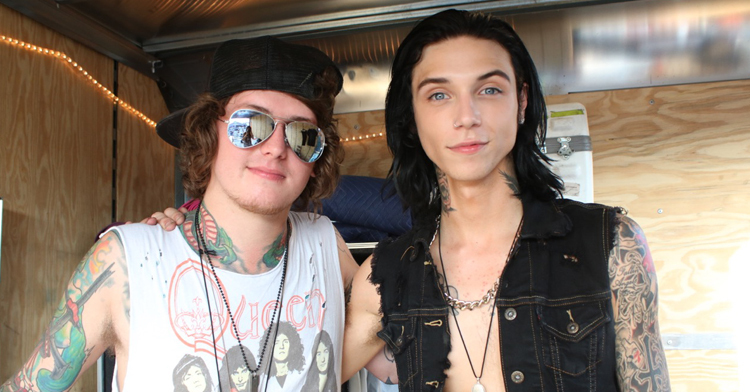 Black Veil Brides frontman Andy Biersack and Asking Alexandria guitarist Ben Bruce will appear in forthcoming film American Satan. The film synospis explains: "Caught in the middle of a Faustian deal, their music and controversial altercations end up influencing society beyond anything this century has seen, but can they take back control of their destiny before it's too late?" American Satan is written by Sumerian Records founder Ash Avildsen along with producer Matty Beckerman, and is currently in pre-production. More details will be released soon.